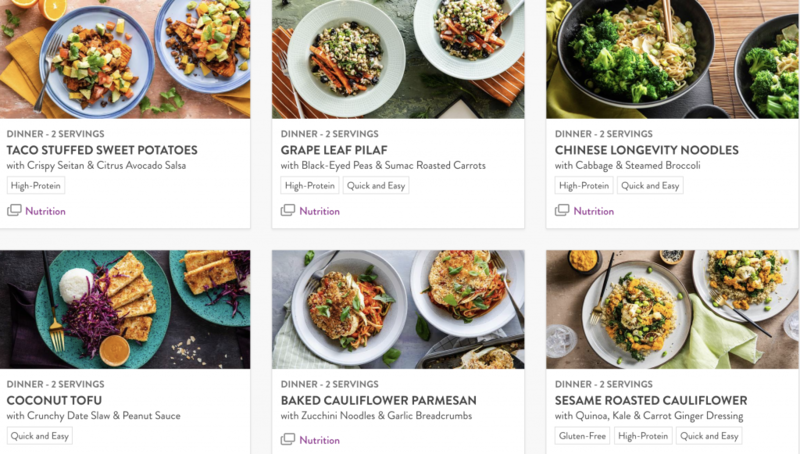 I tried Purple Carrot: Plant-Based Meal Delivery Service last week. The timing couldn’t have been better because I was working all hours, and didn’t have a spare second to shop. And it’s not just the shopping! If you’re a home cook like me, it’s the planning that takes a lot of time. This is what I loved most about Purple Carrot meal delivery – for a whole food plant-based girl like me, I didn’t have to give dinner a second thought! Plant-based cooking does require a little imagination. And when I’m drained from working hard, I haven’t got the time or energy to dream up new and delicious plant-based recipes. This is what I love most about Purple Carrot plant-based meal delivery service: they do the imagining for you! So I learned to cook a whole new repertoire of recipes – many of which will become firm favorites. Purple Carrot plant-based Meal Delivery is as much a learning experience, as a delicious convenience. I’d never cooked with Tamarind before, but one of the recipes called for a delicious Tamarind sauce. Now I’m obsessed. I’m learning how to pair veggie ingredients that never would have occurred to me. For example, one of my favorite dinners is a cauliflower steak on a bed of creamy sweet potatoes. It’s the spices in this recipe that helped elevate it to the next level. Each perfectly packaged dinner comes with an easy-to-follow color recipe. I like on my favorite Jazz playlist, pour myself a glass of Kombucha, and get cooking. Each ingredient is measured out for you, so there’s no guesswork. And you can choose exactly the kind of dinner you want. Purple Carrot meal delivery service offers different menus to suit your preference: You get to choose choose high protein, chef’s choice, or Quick & Easy. I recommend popping onto the website to see the weekly menu ahead of time before you choose. Since I’m a plant-based nutritionist, Purple Carrot plant-based meal delivery makes my heart sing! It makes delicious plant-based eating accessible to everyone. It teaches plant-based newbies how to cook – and that’s often the biggest stumbling block of all. I run 31-day plant-based challenges three times a year. And I hear over and over again how participant’s lives “were saved” by Purple Carrot meal delivery. I recently asked alums to share their favorite recipes from the recent challenge – Recipes that someone had shared, favorite cookbook recipes, recipes handed down from Mom etc. Several of the recipes were straight from Purple Carrot! There’s obviously quite a lot of packaging involved with a meal delivery service, but Purple Carrot Meal Delivery shows you how and why we need to recycle everything we possibly can. I reuse all the little pots that the dressing and sauces come in. They are super useful for making dressings, and storing spices. In sum, Purple Carrot meal delivery checks all of my boxes: very nutritious, super delicious, filling (perfect portion sizes), and convenient. In a perfect world, I’d have a box delivered straight to my front door every week of the year! Make sure you order a box today! 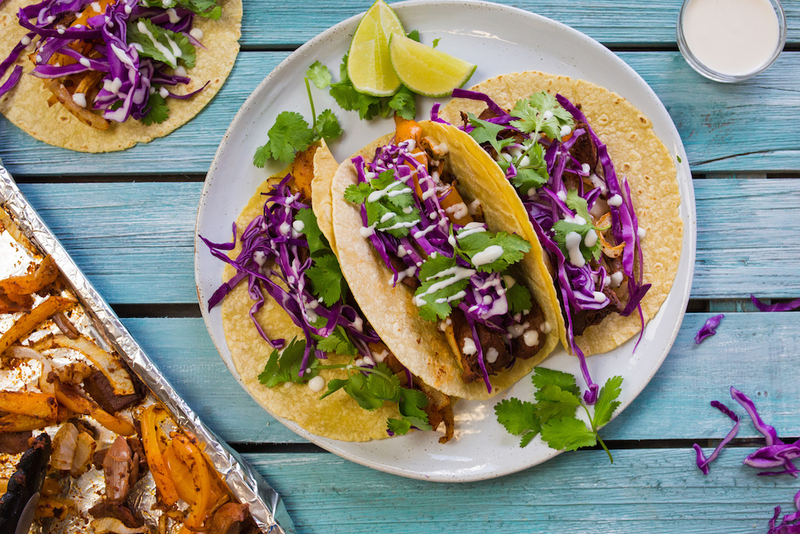 Go on – I recommend giving this plant-based meal delivery service a try! And also make sure that you get on the FIRST TO KNOW list for my upcoming 31-Day Plant-Powered Challenge. It’s important you get on this list because we work on a first come first served basis, and the challenge fills up really quickly.